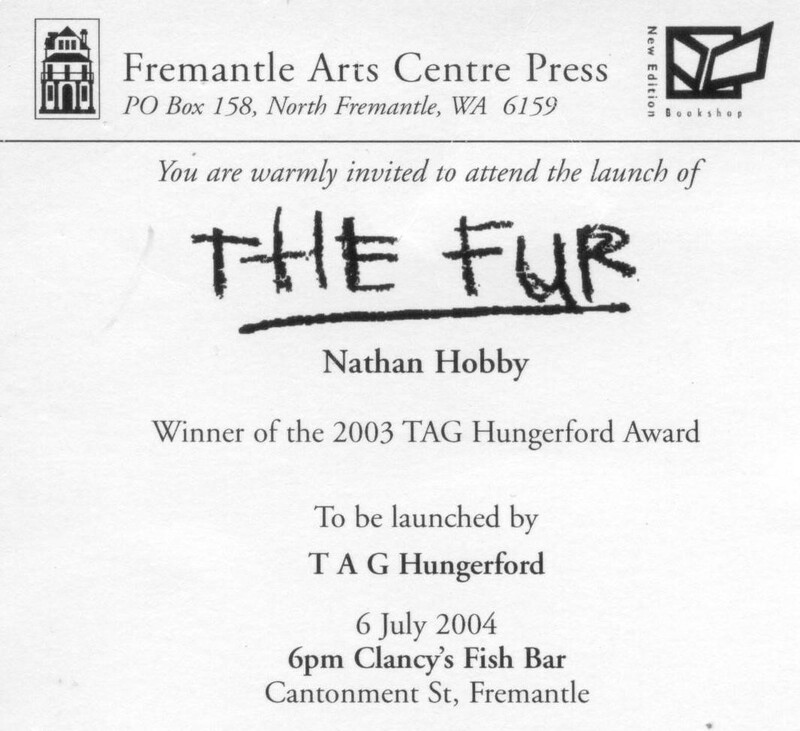 Ten years ago today, The Fur was launched. It is a night special in my memory. A reunion of people who knew me, people who I could never imagine all being in the same room as each other. Friends from high-school days, great-uncles, old friends – people I haven’t seen since; my grandparents, still alive. And the literati – so many writers. All there to have me scribble in a copy of my book. I was living intensely in those days. It was only a month later that I re-met my future wife, on another enchanted evening. We started talking that evening, and just as Paul Auster writes of Siri Hustvedt somewhere, we haven’t stopped since. She has lived with me through the aftermath of The Fur and into the long season of the Difficult Second Novel. ‘Slow down,’ I think she was trying to tell me in the early years of our marriage, or perhaps, ‘Write carefully,’ and it was advice that would take a long time to sink in. Sometimes, being in a rush is what takes the longest time. I don’t think I’ve read The Fur properly in book form. It would be an eerie, existential act of time-travel, and probably make me sad. (There’d be moments of embarrassment, too, and hopefully a few moments of pride.) I’m always thinking of time passing, and the way things used to be, and the people and places I’ve lost, and the whole novel is the account of a season – youth – now lost to me. It’s probably nearly time to try.